Apple’s Touch ID technology may currently be something that is only enjoyed by those carrying an iPhone 5s, but according to the latest report coming out of KGI Research, that should be about to change. Rumors of which Apple hardware would get Touch ID have been rampant ever since the iPhone 5s was announced, and eyebrows were raised somewhat what the firm decided against bringing its fingerprint technology to either the iPad Air or the latest iPad mini. With new products expected within the next few months, the next big question has to be whether Apple will bring Touch ID to more product lines or just stick to putting it into its most powerful iPhones. Based on a report by KGI Research it’s now claimed that Apple will in fact decide to go all-in with Touch ID, making it available on each and every new product that it brings to market during 2014. That would mean that both new iPhones as well as new iPads could sport Touch ID sensors this year, which would tie in with claims that Touch ID sensor production is going to rise 213% this year. It’s still unclear whether or not the iPod touch would embrace the technology. Part of that increase in production will be a change to a newer, more robust version of the sensor which will use tin rather than the existing method used to produce the fingerprint-sensing equipment. We think Apple will opt for tin, versus previously used chemicals, for Touch ID module packaging of new iOS devices in order to boost durability. That is, it should procure Japan Unix’s laser welding equipment for packaging. Touch ID was always expected to eventually make its way to the rest of Apple’s product line, with not just iOS but also Macs expected to eventually reap the benefits of the technology. The news that it is at least on its way to Apple’s tablet lineup should come as little surprise to anyone who’s been paying attention. With the iPhone 6 expected in September, we should have to wait too long to see what Touch ID will look like this time around. 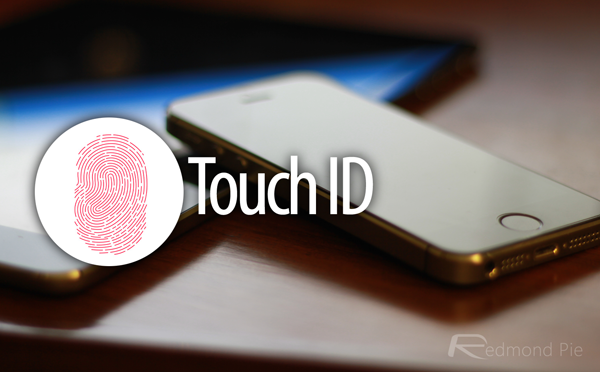 Do you think Apple will put its mobile lineup into high gear by introducing Touch ID to devices apart from the iPhone? Share your thoughts with us.